At 18 we thought 25-year olds had everything under control. We would have finished university, be living out of home and maintaining a stable job in our career of choice. Now at 25, we chose to leave behind our ‘normal lives’ in Australia in search of something else, something more fulfilling, something that would free our souls. It was a risk, there was sacrifice, yet somehow we knew that Latin America would ignite a flame inside our hearts and allow us to roam free, seek adventure and to do whatever we deemed possible. We took for the dusty roads of Mexico with a goal of backpacking across Latin America until our hearts were content. However it didn’t take long after we arrived in Mexico to realise that it was going to be hard to leave this place. 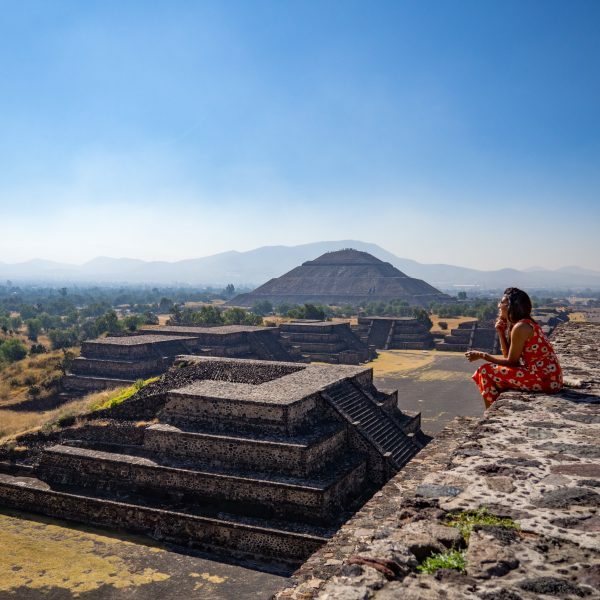 Mexico has grabbed our hearts, played with our emotions and left us wanting more. 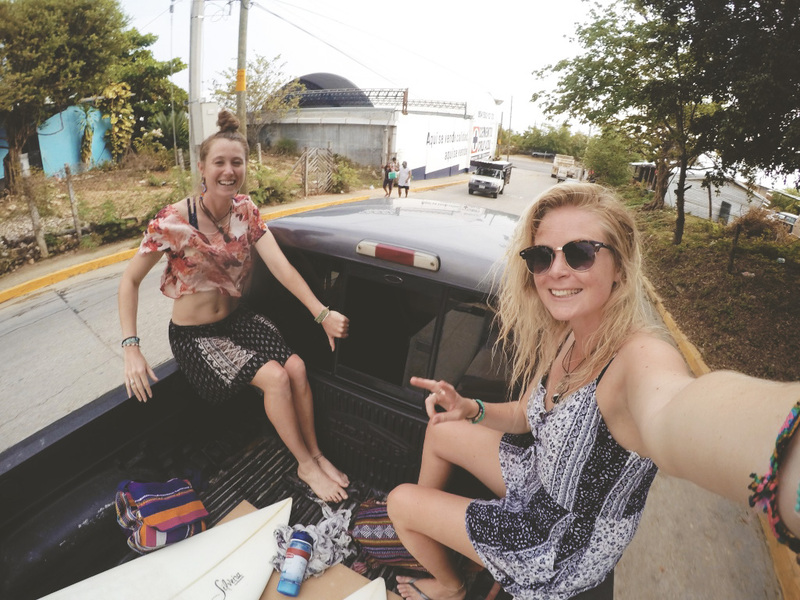 Alyssa started the trip solo, diving into the colourful Mexican culture and chilled way of life in the seaside village of Sayulita on the Pacific Coast. There’s something exhilarating about landing in a foreign country alone, unable to speak the language, and completely lost, but totally filled with excitement. She spent nearly a month in this sleepy town. Days filled with exploring nearby towns, skateboarding with the locals, surf road-trips in the back of a truck with a beer in hand searching for the less crowded breaks. 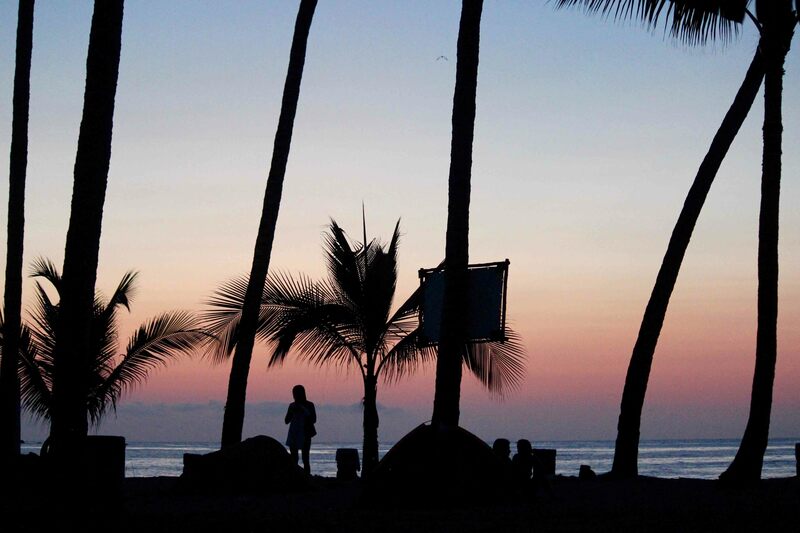 Nights were spent camping on the beach at Camarón Campground under the palm trees. Falling asleep to the sound of crashing waves and being awoken by huge sand crabs scuffling around under her pillow. One thing you learn as a solo traveler is to put your trust in people, or to listen to your gut instincts when not to trust people. 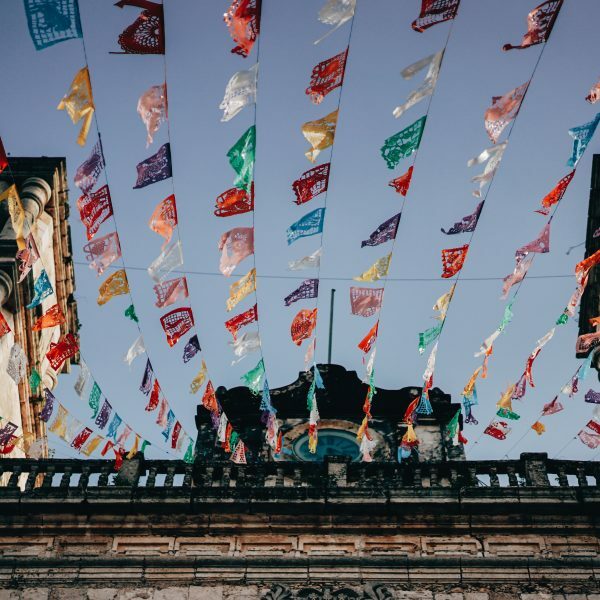 With this in mind, Alyssa hitchhiked to Mexico City with some soon-to-be good friends where they welcomed her into their colonial style apartment and waited for me to arrive. The building was hundreds of years old with a history as deep as a trench and a story as dark as the night. 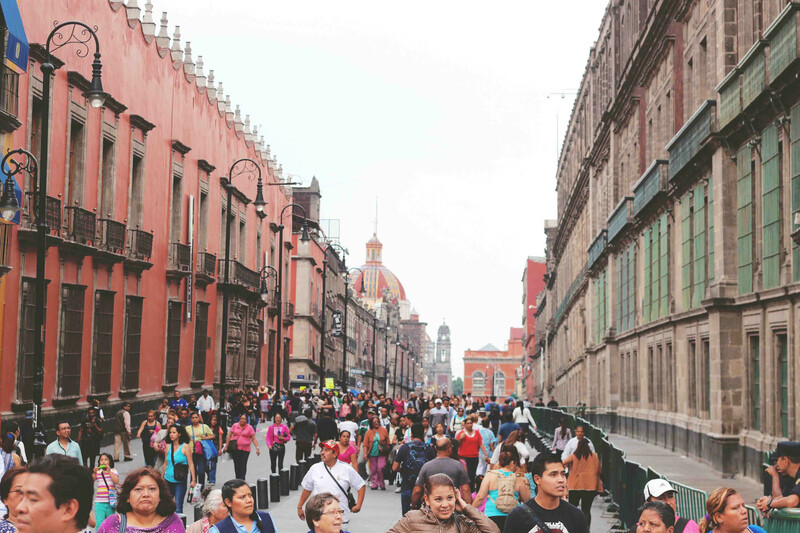 Our new local friends took us to all the hidden nooks and crannies of lively Mexico City. Getting around meant constant traffic jams, long walks between sites and streets blanketed with people on their daily mission. 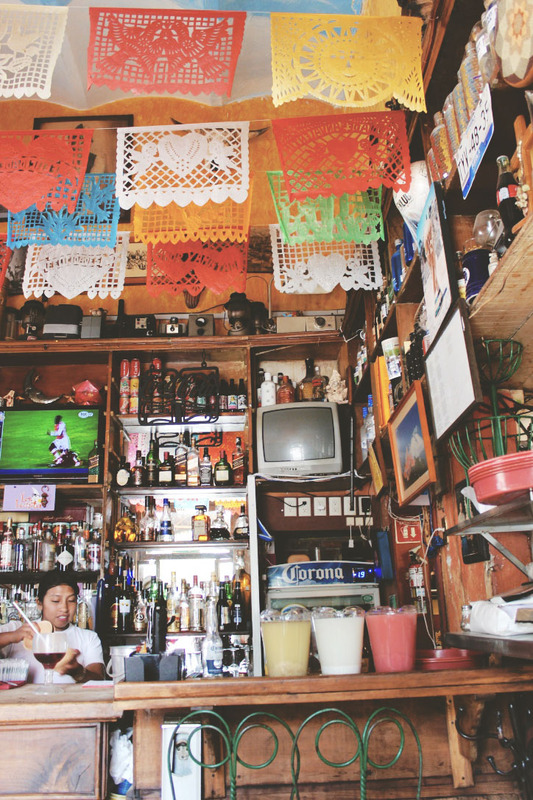 We experienced pulque and mezcal bars where locals would go to sing songs with their friends, restaurants with traditional mariachi bands that managed to shock and surprise us and a Mexican wrestling match that made us laugh until our tummies hurt. 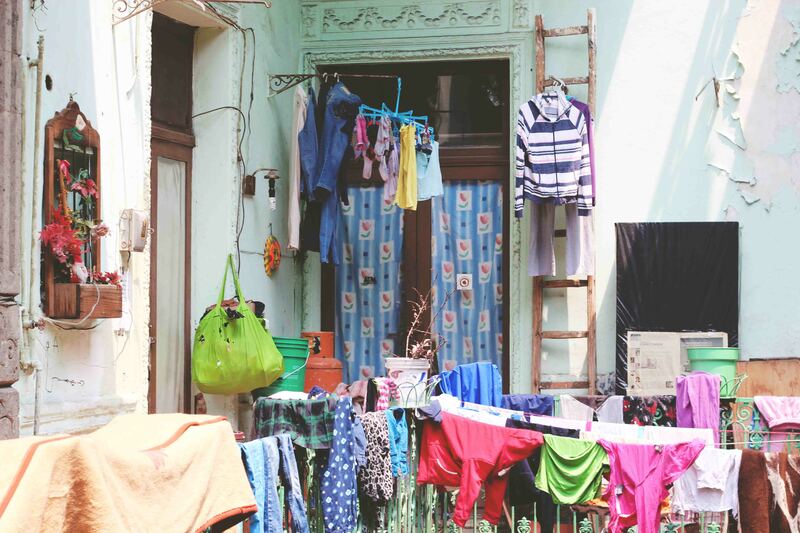 A site that stood out to us and one that is sure to inspire, was Frida Kahlo’s Blue House. Frida was an artist, a Mexican icon and someone who dealt with severe trauma her whole life. Instead of letting her disability and infertility destroy her she turned her life into a statement, her paintings being a way of self-expression and empowerment for women. 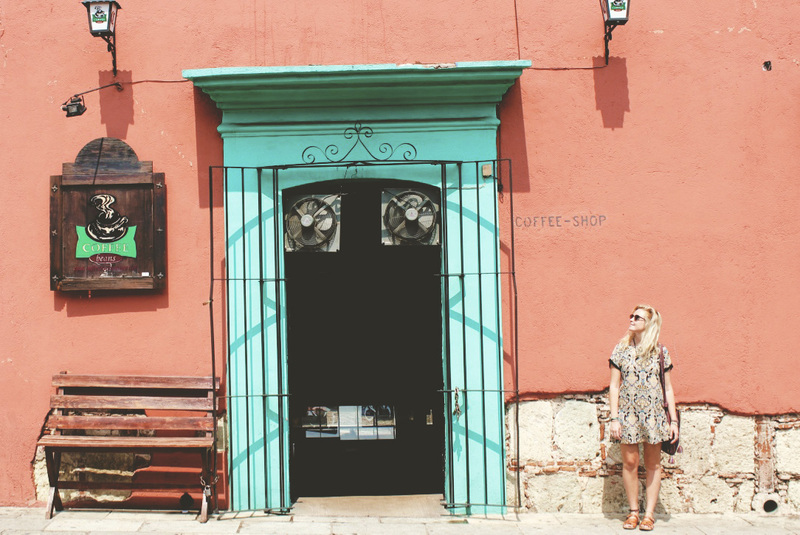 The cute little town of Cholula was a nice break from the busy hustle and bustle of Mexico City. The quiet streets were bright, artistic and non-touristic. The street art so detailed that the emotions from the wall characters were projected clearly with just a single glance. Our favourite pulque bar was La Lunita (little moon) which had a view of the Tlachihualtepetl Pyramid. Here we drank kiwifruit and strawberry pulque not out of cup, but a bowl. Pulque is made from the fermented sap of the maguey plant. It is milky, slightly foamy drink and had a prominent place in mythology and religious rituals. 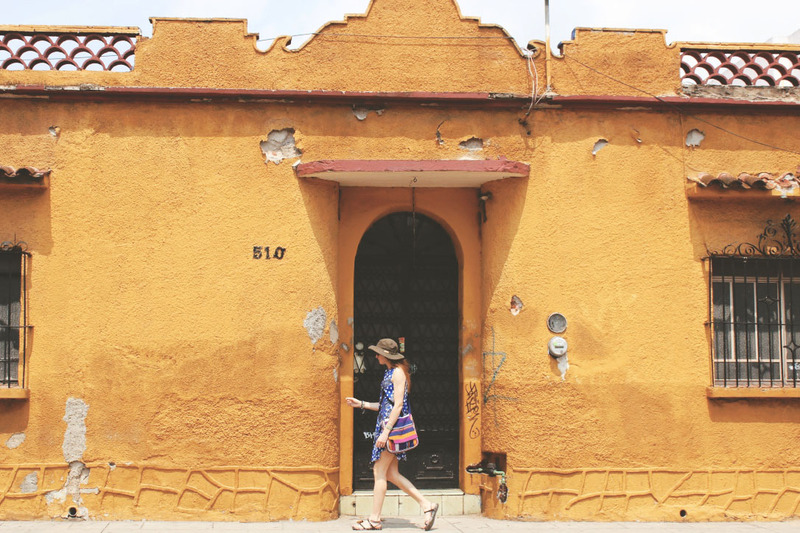 A long bus ride took us to Oaxaca City. Arriving in the darkness of the night, we were lucky the people at our hostel were night owls and were still awake to give us a bed for the night. Walking the streets with our cameras we were constantly stopping to take pictures of the colourful buildings, colonial style architecture and the cafes hidden down back alleys. A mandatory café stop is necessary every couple of hours to taste test the fine food that is offered in the state of Oaxaca and of course to keep hydrated with the rich Mexican coffee. After some time spent living the city life, we were itching to get back to the coast. 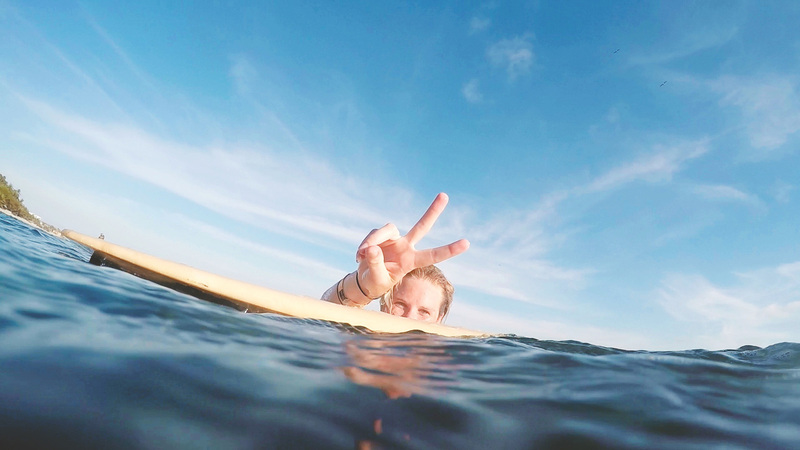 A slower life, full of beach adventures, hammock time and surfing. Puerto Escondido offers exactly that. Although it is famous for having the heaviest beach break in the world, Mexican Pipe, we were shocked to find that this place offered much more than we initially expected. The town is laced with character, stoked vibes and good people. We stayed mostly in La Punta, a nearby village with a single dirt road that has organic cafes and every second house was a local fruit and veg shop. We surfed fun waves, read books, did yoga on the beach, rode in the back of trucks, drank wine at sunset and practiced our Spanish. We adventured to sunset rock with friends. They made us climb up the rocks, through a sea of cacti, down the rocks, across a beach and then rock climbing up a massive apostle-like structure. With a little bit of a leg-up, we made it to the top. Oh and what a view it was! 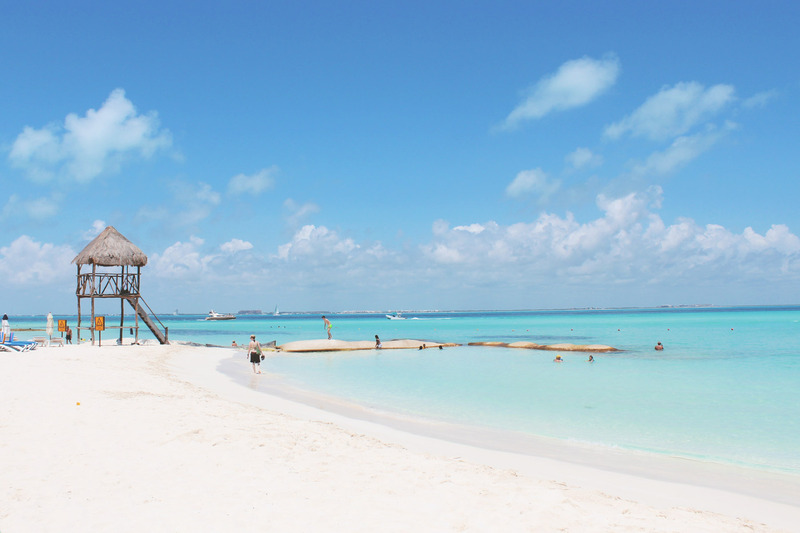 From a beach town to an island in the Caribbean, Isla Mujeres was a perfect next stop. Just off the island is the largest whale shark aggregation site in the world, sometimes there being over 200 of them in a single area! 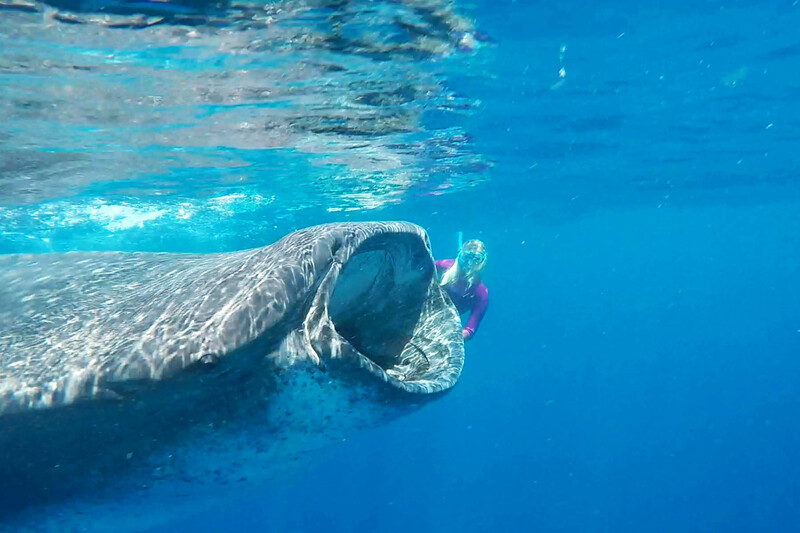 Even though we have spent much of lives in the ocean, we have never experienced a moment in the ocean so awe-inspiring that left us not only breathless from swimming, but through total amazement. These gentle giants are huge, graceful and beautiful. To be graced by their presence is a very unique experience and one you will never forget. The island itself is a cute little fishing village, with palm trees and mangrove forests that line the white sandy beaches and drape over the limestone cliffs. 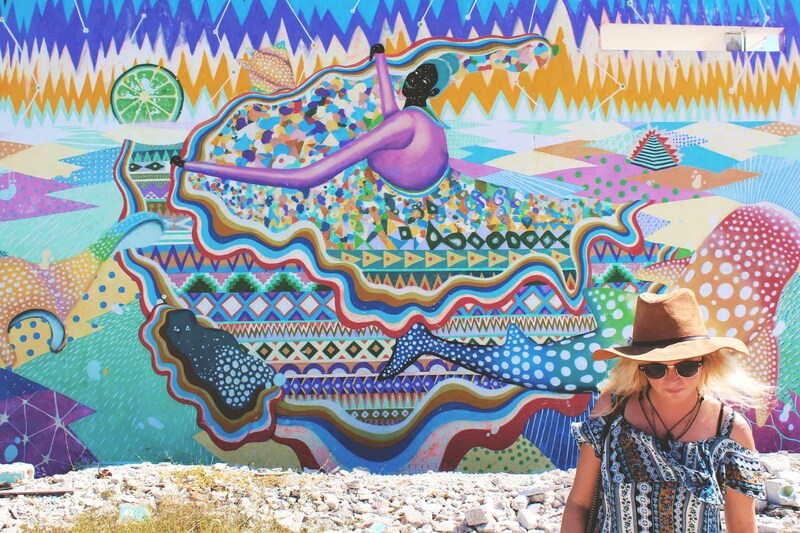 The streets are littered with murals of sea art painted by Pangea Seed. These beautiful drawing bring attention to local environmental issues through a positive medium such as art. 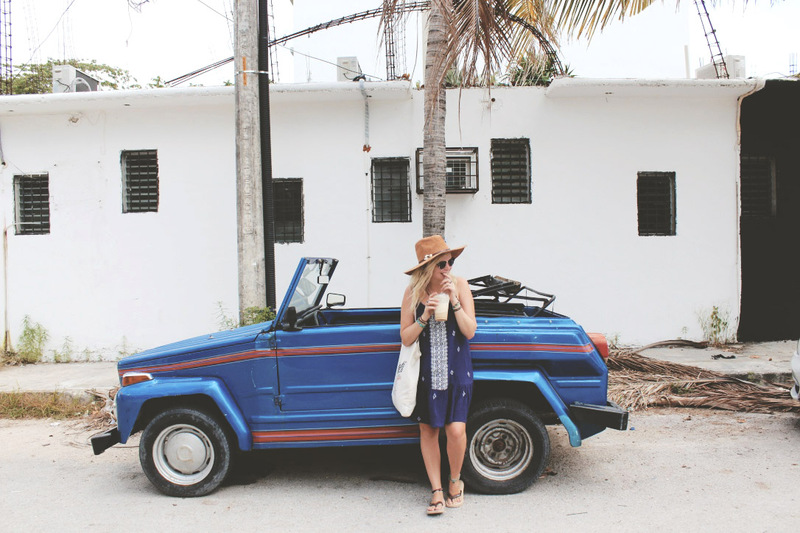 Tulum is a sleepy little town where time disappears and your worries don’t matter. Get lost down backstreets, meander in and out of colourful shops and ride a bicycle past the jungle on the way to the beach. 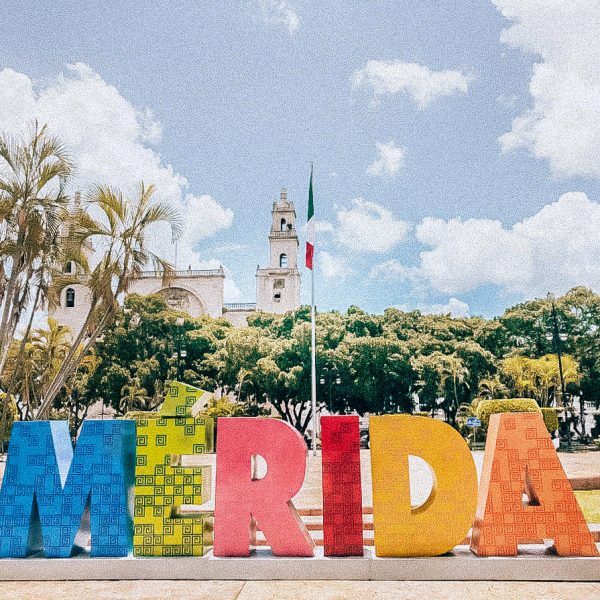 The shops sell beautiful handmade goods and crochet hammocks that we are yet to see anywhere else in Mexico and the little bars offer tasty margaritas with fresh fruit and sugarcane. Our days were mostly filled swimming in an underwater paradise that looked as though it was from another planet. 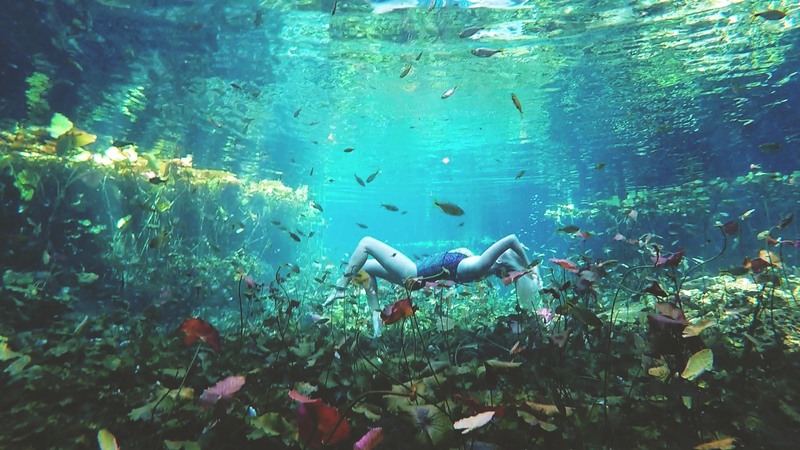 Cenotes are naturally flooded sinkholes filled with fresh crystal clear water and are formed by the porous limestone rock that has absorbed the rain over time. 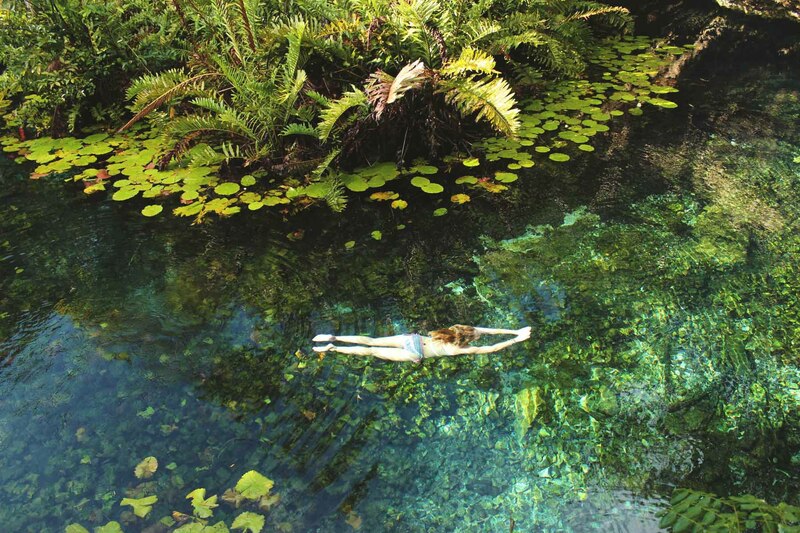 These cenotes are hidden deep in the tropical jungle and are sacred places where the ancient Mayan civilisations would communicate with their gods. The jungle trees and lusciously green ferns dangle around the high edges and the underwater caves slope down deep into mystery. Leaving Mexico will be hard, but returning will be easy. Mexico has stolen our hearts and made us believe anything is possible. The people, the food, the culture and the natural beauty has reinforced our belief that life is a beautiful thing. 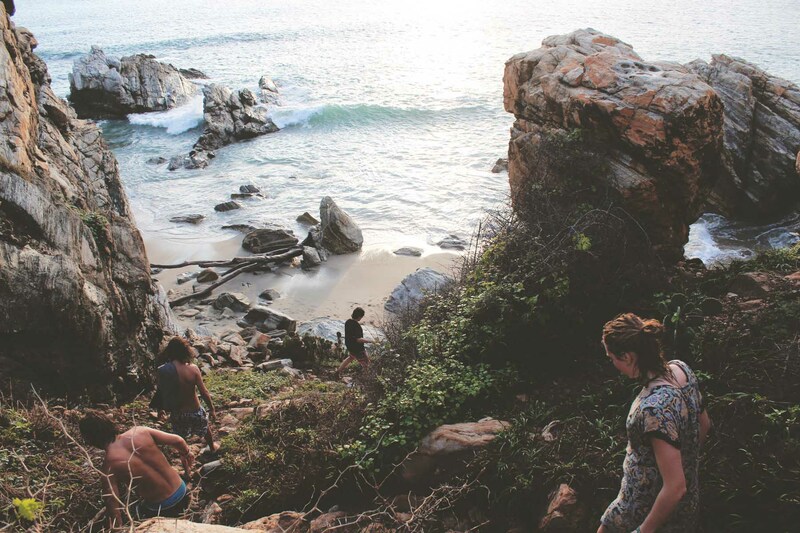 Your story and photos makes me want to hop on a flight to Mex for a surf trip right now! Looks like you ladies had an amazing adventure!!! Amazing gals. Lots of energy and enthusiasm. I feel like I’m there with you. Loving your colourful pictures and how you immerse yourselves into the communities through your well written stories. It really captures the essence of travelling with soul.